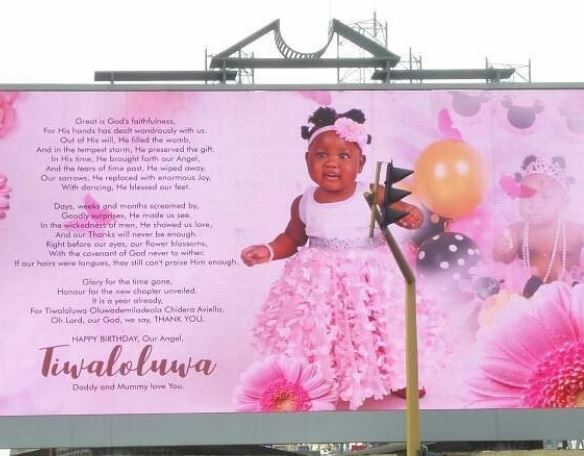 Comedian Seyi Law‘s baby girl, Tiwa clocks one today! 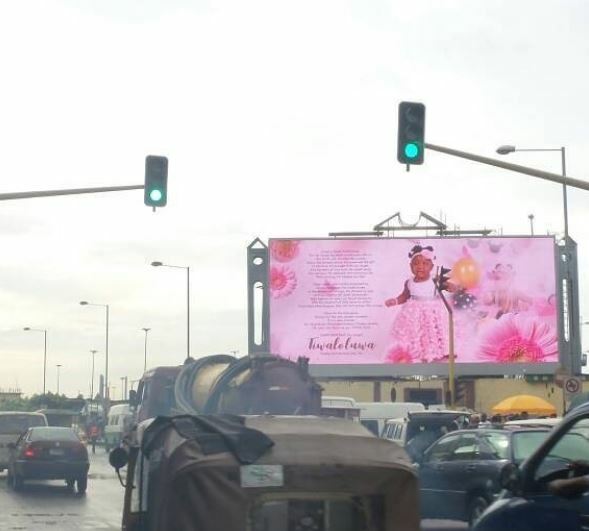 To celebrate her special day, the father mounted a billboard along the Marina, CMS axis in Lagos to showcase his gorgeous baby girl. 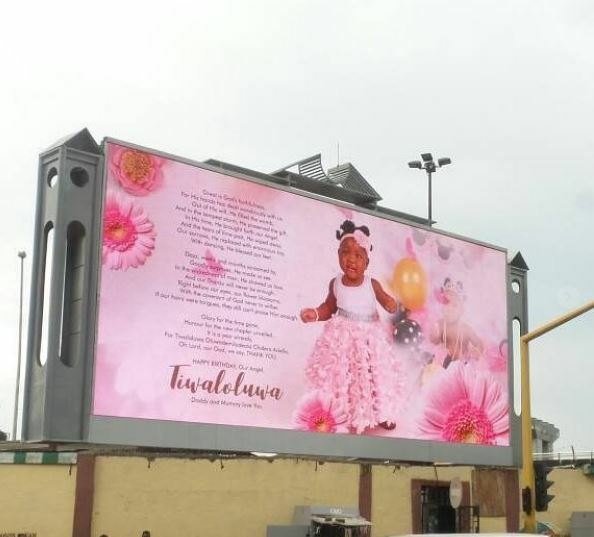 "If you are driving through Marina, CMS you made want to slow down a little bit and watch my darling Tiwaloluwa on her first billboard appearance. Daddy and Mummy say HAPPY BIRTHDAY BOLDLY.